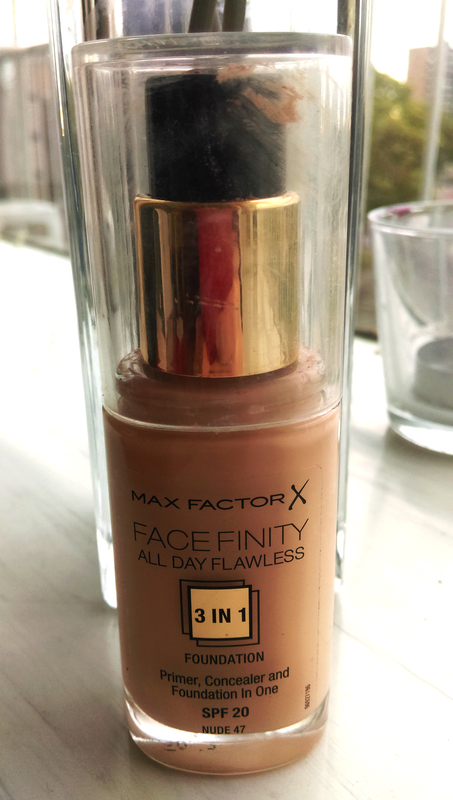 A few weeks ago I bought this new foundation from Max Factor. It’s a 3 in 1 foundation which means it has primer, concealer and foundation in one. It also has SPF 20. Personally, I think this foundation is fine. It’s light, and blends well into my skin. Although, for being a concealer and foundation in one, it is now very good because it’s quite transparent. But I really like the SPF 20, perfect for sunny times! The foundation cost €15. I give it 3/5 points!